Learn how to be environmentally conscious and save money while you clean -- by making your own cleaning products and by using earth-friendly products. 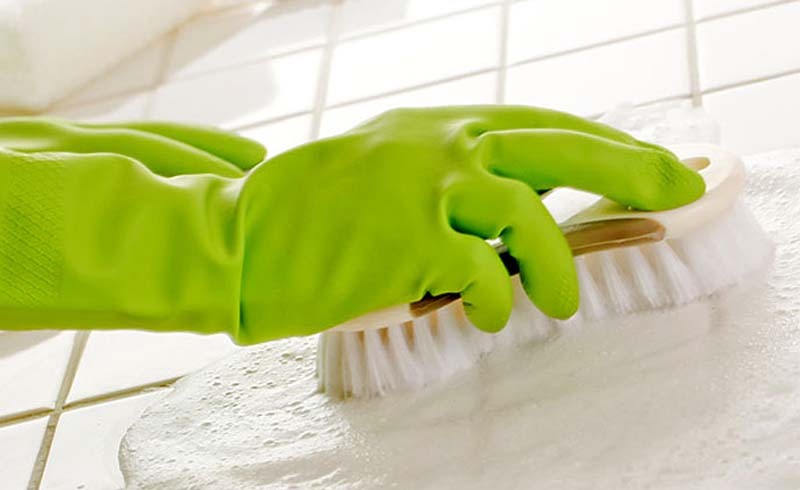 Americans spend billions of dollars each year on commercial cleaning supplies. 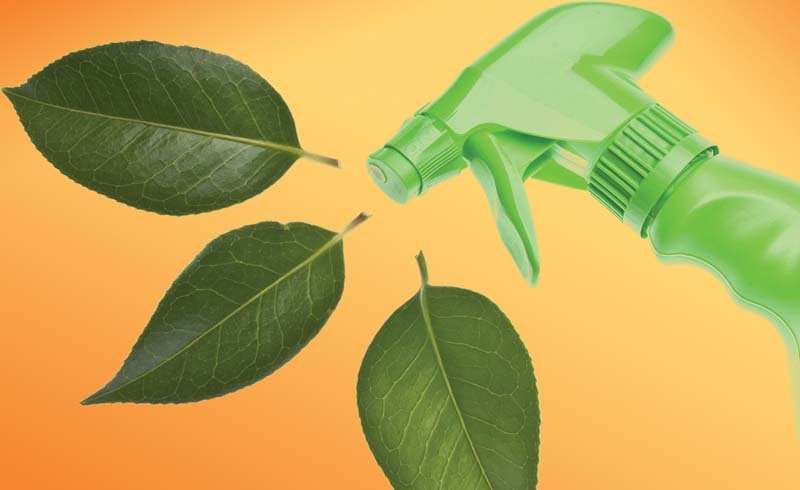 Curb your spending and be environmentally friendly with these tips and cleaning solution recipes from EarthShare and EarthWays, two nonprofit environmental organizations. When you buy cleaning products, choose ones that are nontoxic, biodegradable, phosphate-free, and chlorine-free. Reduce paper use by cleaning with rags instead of paper towels. Dip a cloth in warm water, then dish soap and baking soda. (The baking soda serves as a soft abrasive to remove tough spots and light scratches). Wipe on to clean. Wipe off with a clean rag. To get after tough countertop stains, scrub and leave the solution in place for three to five minutes, then wipe with warm water. Mix 2 tablespoons of borax or baking soda with 3 cups of water for sparkling windows and mirrors. Spray on and wipe off (just as you would with a store-bought glass cleaner). Mix vinegar and water at a 1:1 ratio in a spray bottle. Shake well. Spray on chrome and stainless-steel fixtures and wipe off with a clean, soft rag. If the smell of vinegar bothers you, cut the aroma of vinegar by adding a few drops of essential oil (lemon, lime, mint, or tea tree). Mix 1 cup baking soda, 1 cup salt, and 1/4 cup cream of tartar. Pour 1/4 of this mixture in the drain, followed by a pot of boiling water. Reserve the rest of this mixture for future cleanings. Sprinkle dry cornstarch or baking soda on your carpet, then vacuum. The cornstarch and baking soda absorb odor. Rub borax into the dampened area, let dry, then vacuum or repeatedly blot stain with a mixture of vinegar and soapy water. Get the rug as dry as possible to avoid moisture getting to the floor underneath. Make a paste of vinegar and salt, and apply to mildew. Wipe clean with a dry cloth. Combine 1/2 cup lemon juice with 1 cup vegetable oil, olive oil, or mayonnaise. Apply to rag. Wipe onto furniture with small circular motions. Wipe off with a dry cloth. Use vinegar to remove rust or mineral deposits on sinks. Simmer a small amount of cinnamon, orange peel, and cloves on the stove to give off a pleasant fragrance in your home. -- Planning on refinishing some furniture? Use water- or vegetable-based paints, stains, and varnishes. Remember, don't wash paint thinners, household cleaners, oil, or pesticides down the drain. Instead, use them up or give leftovers to friends or a charity. Also, you can call your local city hall to find out about the next hazard collection day. -- Adding new color to your walls? When painting, don't sand or burn off paint that might contain lead. Lead particles in the paint can cause lead poisoning. If your paint is peeling, use a wet sponge or mop to clean up the debris instead of sanding. Never vacuum the dust or chips from lead paint; it will only disperse more lead dust into the air. -- Getting rid of the junk in your garage or attic? Hold a yard sale. Talk to your neighbors and organize a community yard sale. You can increase neighborhood relationships, earn some extra cash, and help the environment at the same time. If a yard sale seems like too much work, donate your giveaways to your local nonprofit thrift store. -- Does your water bill seem high? Wasted water hurts the environment and your checkbook. Always fix leaky faucets in your house. A five-minute project can often save gallons of water. You can also place a large rock in a toilet tank to save water when flushing. Be sure to check hoses and sprinklers periodically and fix any leaks.